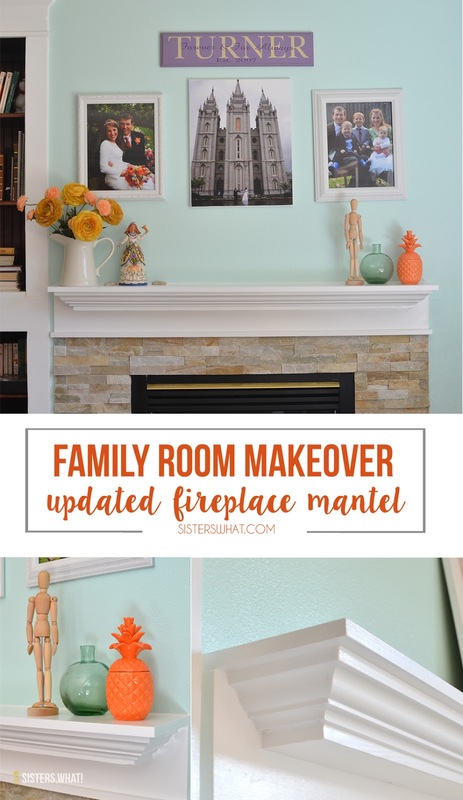 ' Fire Place Remodel - Living Room Update - Sisters, What! 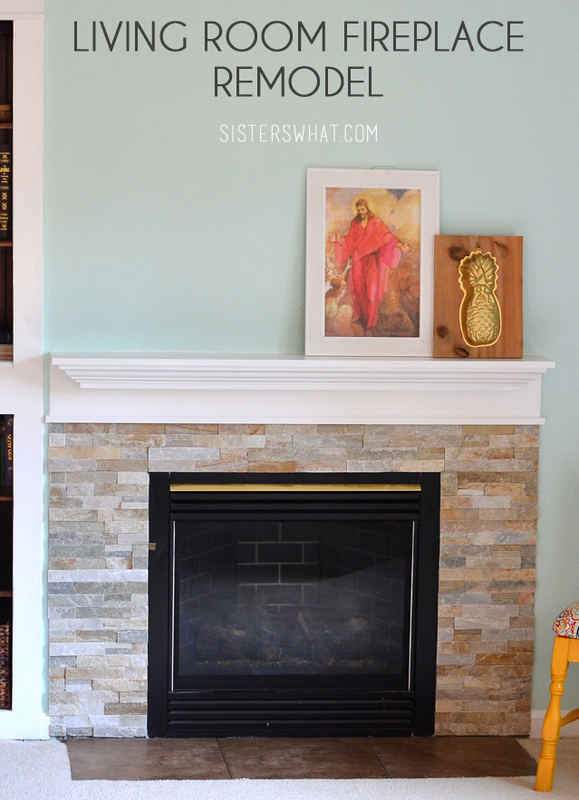 Finally, without further ado, here is the final post of our living room update (go HERE for a full post of the whole room). I absolutely love how the fireplace turned out. It was the last to be done, but it was worth the wait. 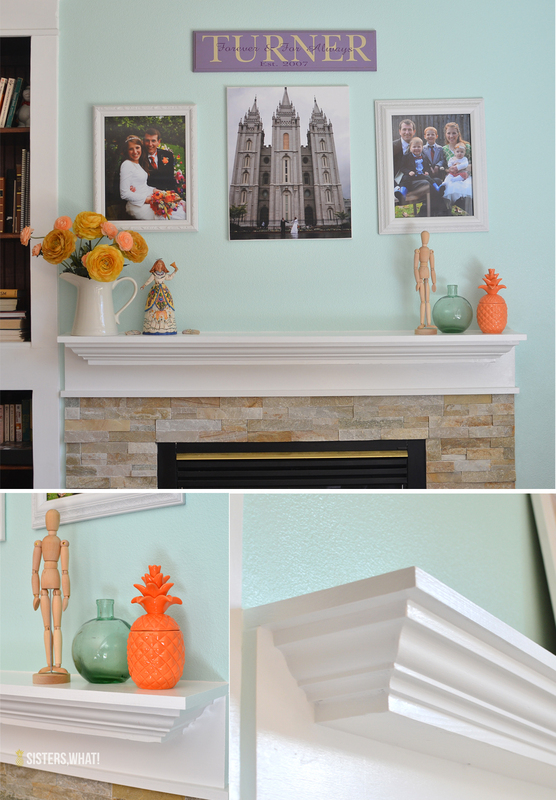 The biggest obstacle was not being able to decide on the type of mantel. Finally, I just told the husband to have it match the window and bookshelf molding. 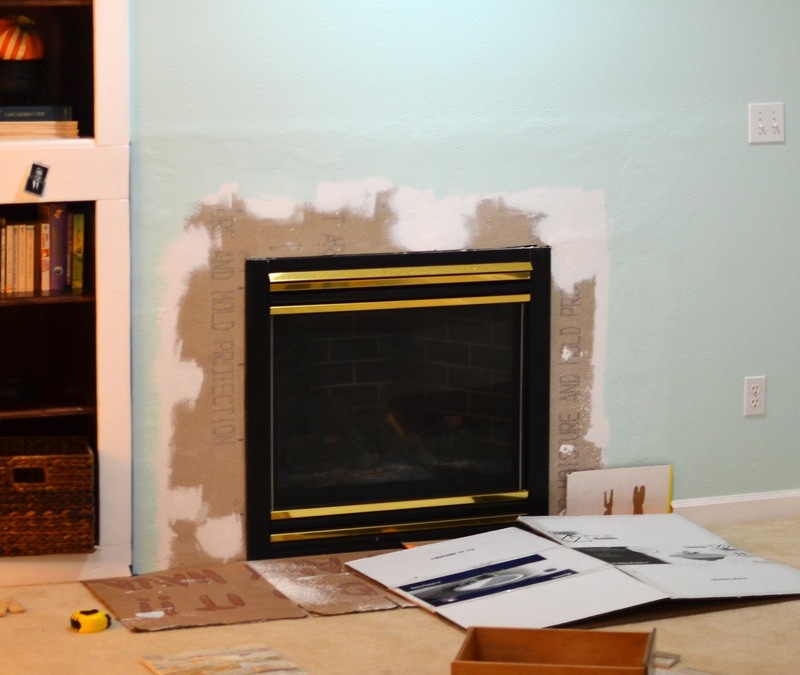 After he tore off the tile and other parts of the fireplace, the husband patched up all the holes. Next was picking out the stone around the fireplace. Again, this took forever because both husband and I can't make decisions when we aren't exactly sure what we want. 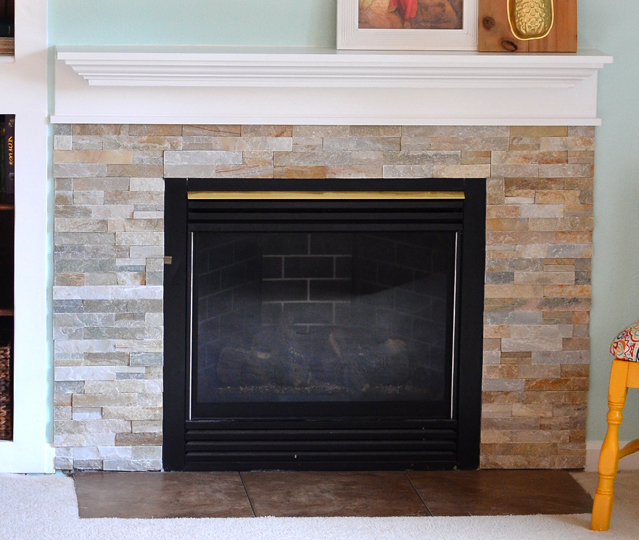 Finally we came across Desert Quarts Ledge Natural Stone from Lowes and it was perfect. It matched the rest of the update, it was real stone and affordable. Before putting the stone up, we (when I mean we, I mean the husband ; ) cut the stone then laid it out in the exact pattern we wanted. Then we put it up starting at the top of the fireplace so that it would be even at the bottom. I actually did help with this part : ). This process was quicker than we expected; took us one evening. 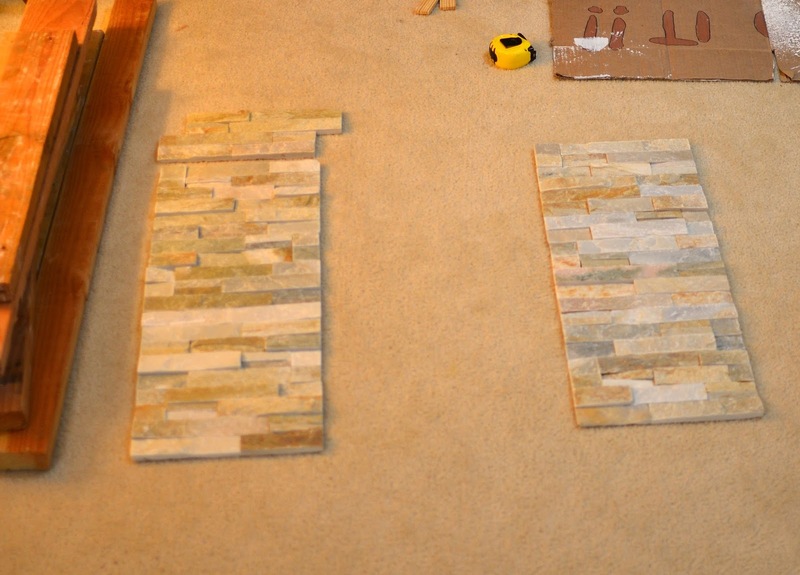 The mantel was a little bit more complicated and I forgot to take pictures of the process, sorry. First he put up the 1x10 flat on the wall right above the stone. 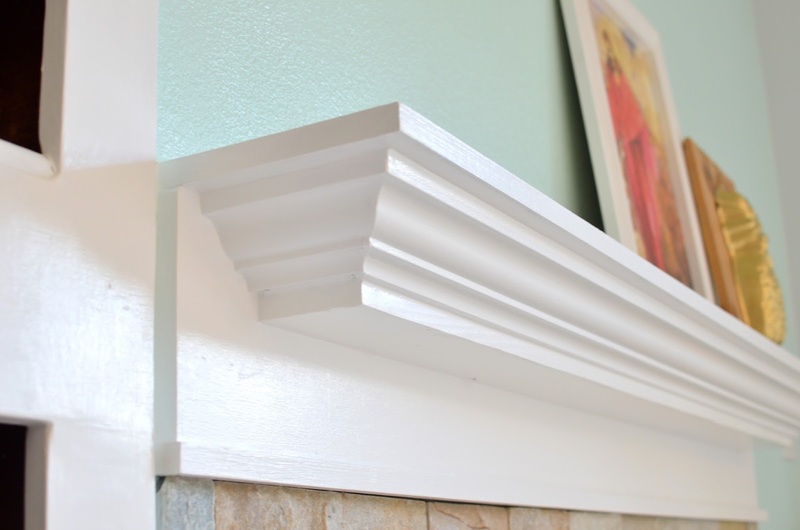 He built an underlying frame for the molding with 2 - 2x6s that were ripped at various places in order to facilitate attachment of the top and crown molding. You can see the very bottom of 1 2x6 below the crown molding. This frame, was attached to the wall with 4 lag bolts. After attachment, crown molding and the top of the mantel (1x10) were attached. The final step included placing a small all purpose molding strip at the bottom, at the intersection of the stone and bottom of the 1x10. Thanks for stopping by. Leave a comment if you have any questions and hopefully we can answer them. I think the stone looks lovely. Much better then tiles. I really like the stone look but I'm scared of how hard it will be to clean (because dusting just isn't my strong point) At least I get to enjoy yours! 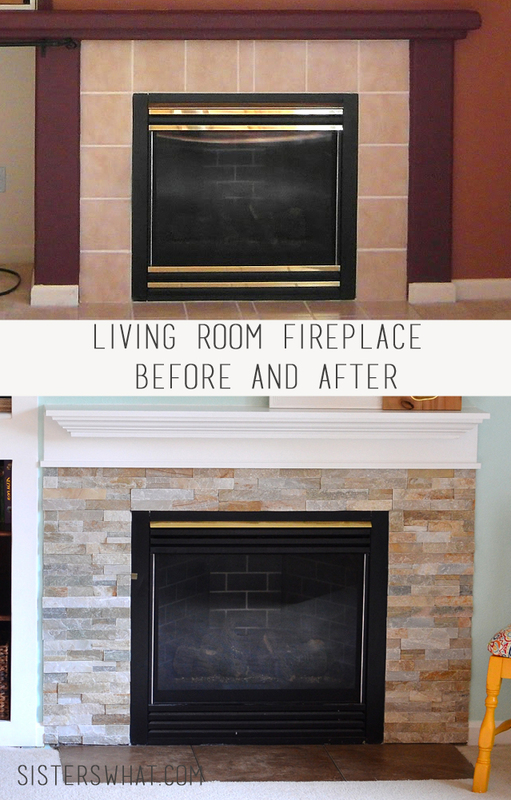 Your new fireplace is so gorgeous!! 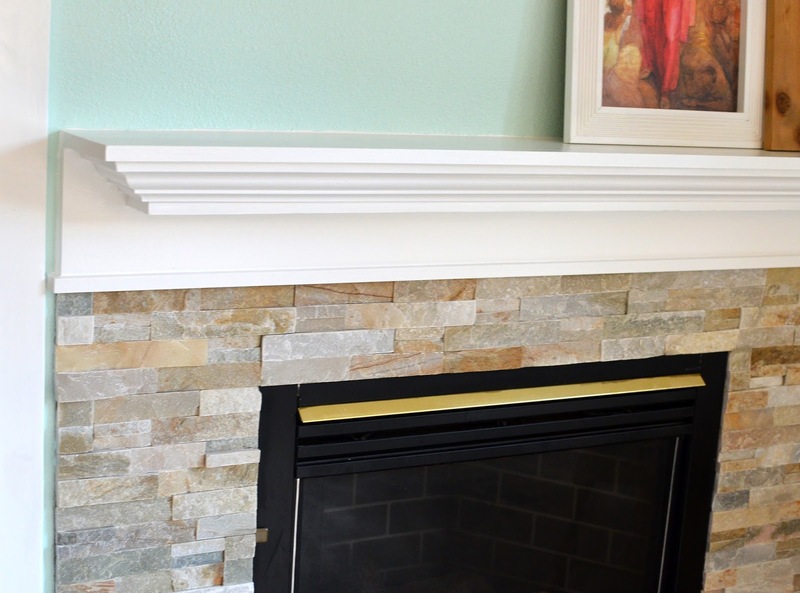 I'm loving the stone and bright white mantel. My husband and I are currently in the process of buying a house (home inspection is today! ), and while we're thrilled we were able to find a home with a fireplace . . . it's a bit on the ugly/outdated/tacky side. 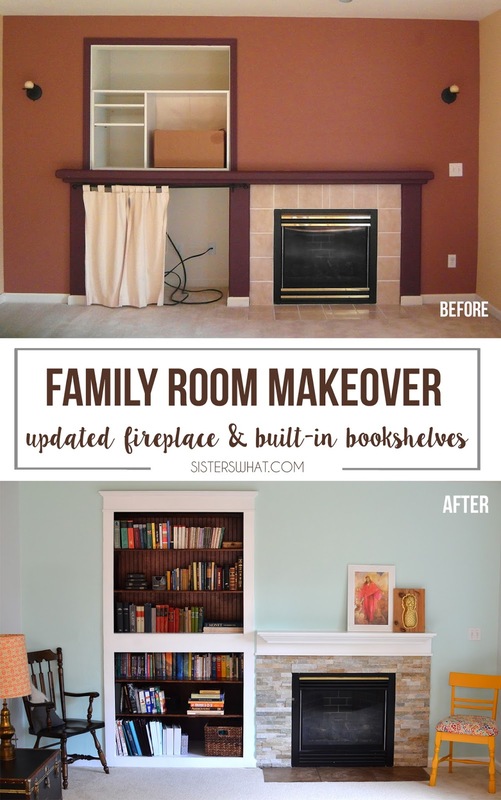 We're planning to reface it as one of our first projects, and I'm SO glad I came across your blog today! Very helpful! Thank you Brittany! Buying a house is such an exciting thing, I hope it works out! 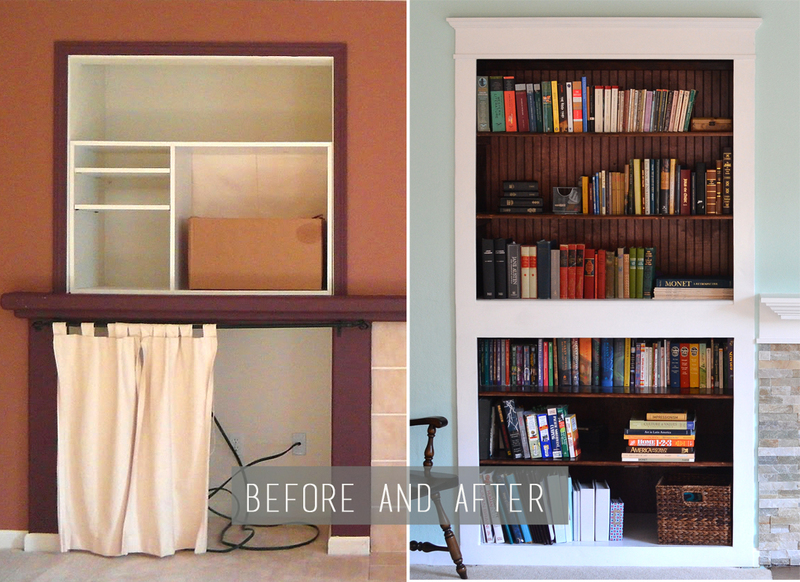 Sometimes an ugly thing in a house is fun because than you have an opportunity to make it how you want it to be. So glad I can inspire; I'd love to see pictures when you updated it. This turned out so good! I really like the look of the stone. And the white mantel is a nice touch! I'm sure you will have lots of fun decorating it for each season. Thanks for joining us for Hump Day Happenings last week! I hope we will see you again tomorrow night. Thanks, Havalah! I loved this post so much that I featured it here: http://thenestednomad.com/2015/03/31/gratitude-love-march. Just wanted to let you know!